We would prefer if you can wait the 2-3 weeks, but we understand sometimes the unexpected happens! If you would like your order to be expedited and shipped out within 10 days and under (EXCLUDING weekends and holidays), the charge for the expedited order will be $75.00. If we need to add engravings to the ring, please allow one more day, 11 days for us to expedite the project. Items that take 4-6 weeks to make will be EXEMPT from possibility of Rush Orders due to difficulty in design. The extra charges are for our team and bench jeweler who has to pull overtime to finish the project on time. PLEASE LEAVE YOUR 1) NEEDED ARRIVAL DATE IN NOTES TO ENSURE WE GET ITEM TO YOU ON TIME 2) ORIGINAL INVOICE NUMBER TO ENSURE WE RUSH THE CORRECT PROJECT (This applies only to projects that are not purchased simultaneously with the RUSH link together). ALL RUSHED ITEMS ARE NON REFUNDABLE. Item's under standard rush productions that are NOT customized are eligible for an exchange. Absolutely beautiful! Love the rich rose gold color. Great craftsmanship. It’s beautiful and VERY sparkly. I honestly can’t help but stare at it. I feel like 2 carats is a good size although sometimes I do feel like it’s a little big. I ordered a size 7 and have always been a size 7 ring... it’s a little big for me so I will have to get it resized. Recommend measuring your finger before you order! BreAnne was such a pleasure to deal with and answered all my questions promptly. I recommend! I saw this on Pinterest & knew this was The One! I tracked it down on Etsy & got my husband to buy it. I wear it everyday & I love it! It is the only accessory I wear everyday. 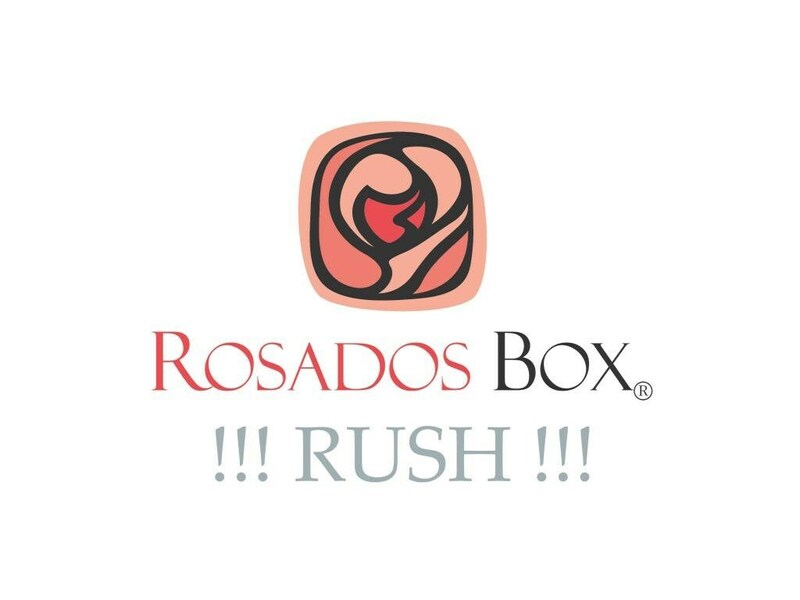 The Rosados Box team was very helpful in answering all my questions. It was a rush order and I got it before my wedding 😊 I love it so much!